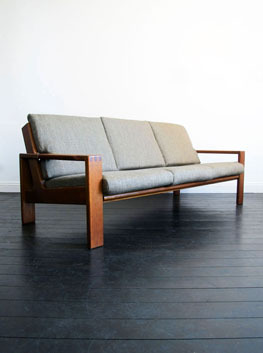 Vintage Scandinavian Oak Sofa, in William Morris Tweed Fabric. 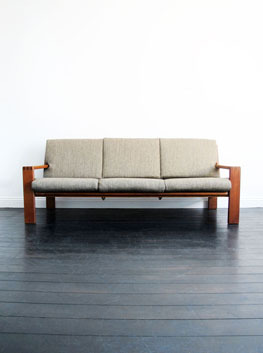 Love this sofa..great proportions, great lines and a nice chunkier feel to it. Nearly kept this myself! 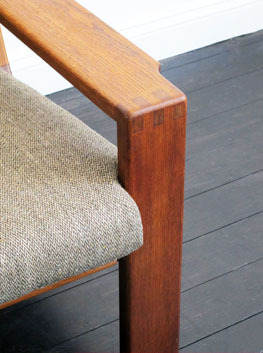 Oak frame with new webbing, and all new FR'd upholstery. 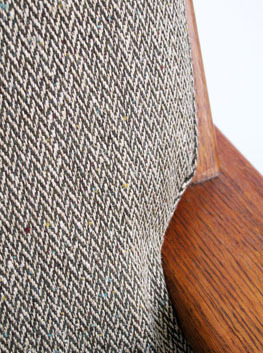 Cushions in 'Brunswick' tweed from the 'The Collector' by William Morris. 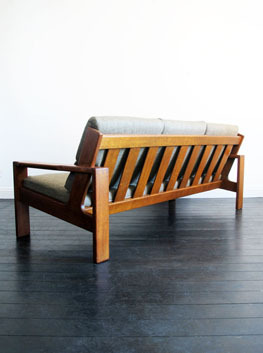 Lovely quality piece..
Lovely condition. Good & solid. 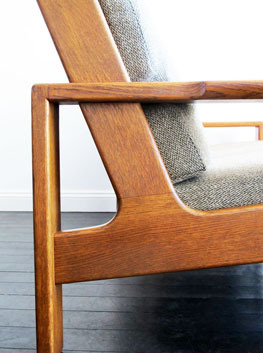 Upholstery all new. Fully fire retardant.